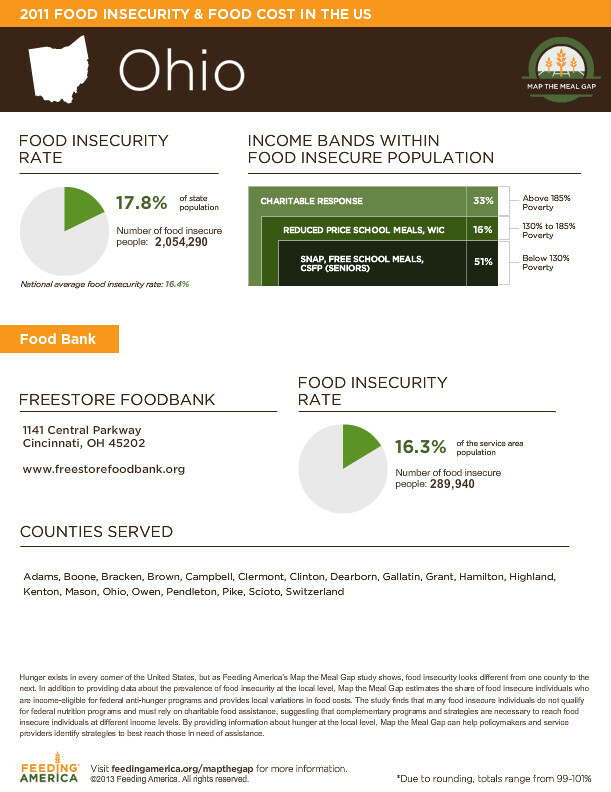 According to Feeding America’s Map the Meal Gap, 289,940 people living in the 20 counties served by the Freestore Foodbank aren’t sure from where their next meal is coming. over over 80,000 are kids. A common misconception is that our friends facing hard times are generally populated in the inner city. The reality is that hunger does not know a zip code. This map shows the communities where the Freestore Foodbank and its community partner agencies are able to lend a helping hand. 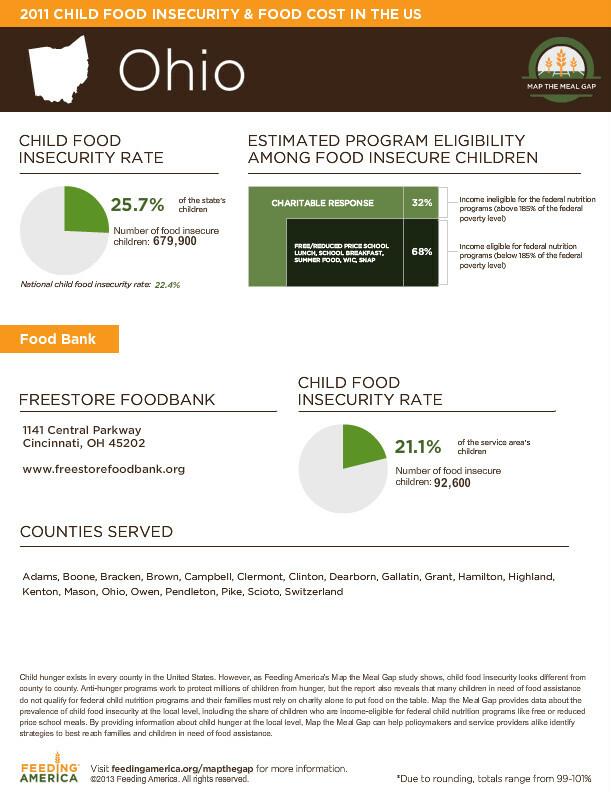 From the suburbs of Hamilton County to the farms of Kenton and Dearborn Counties, we are working in 20 counties in Ohio, Kentucky and Indiana to provide more than 27 million meals annually to our hungry neighbors. Mark Curnutte provided great insight into the reality of hunger in our hometown in two separate articles published in September 2013. One of Mark’s articles highlighted food insecurity in our community. Mark’s a second article addressed U.S. Census data released in September 2013, which ranked Cincinnati’s child poverty rate among the worst in the U.S. Those numbers show Cincinnati is the 10th highest in the nation for cities with a population of at least 65,000. The children and families we serve are our friends and our neighbors. A father who unexpectedly lost a job and is trying to stretch the family’s dollars to a single mother struggling to make ends meet – their stories and the hardships they are facing are real. Some of our customers want to share their stories with you. Whether it is keeping a roof over their head, having food on the table, even preventing the electric from being shut off, we understand their worries and we are here to help in their time of need. 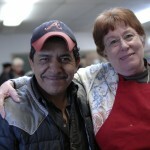 Food assistance is the beginning of a larger conversation, which allows us to connect the people we serve to other resources such as clothing, housing assistance, healthcare enrollment and job assistance – all aimed at creating stability and self-reliance. We’ve got a plan of action to get there. Please join us in the fight again hunger in our community by making a donation to support our efforts. 94% of donations, including both in-kind and monetary, go directly to programs and services.